More than 1,200 county workers earned more than $200,000 in 2018, compared with 966 in 2017, according to new county data. More than 1,200 Suffolk County employees made more than $200,000 in 2018 — nearly a 25 percent increase from 2017 — with retiring law enforcement officers getting the largest total payouts. Of the 12,777 employees on the county payroll last year, 1,204 — nearly 10 percent of the county workforce — earned more than $200,000 in total compensation including salary, overtime and termination pay, according to new county W-2 data. That was up from 966 employees who made that much in 2017; 745 in 2016; 328 in 2015; and 142 in 2014, the records show. Nearly 85 percent of the over-$200,000 earners last year were police officers, detectives and supervisors. In Nassau County, the number of $200,000-plus earners essentially was flat — 656 of the 15,867 county workers in 2018, compared with 646 the year before. There were 680 such employees in 2016; 488 in 2015; and 449 in 2014, according to Nassau County payroll data. Ninety-one percent of Nassau employees who made over $200,000 in 2018 were police, according to county W-2 data. Also in 2018, according to the data, 89 employees in Suffolk and 149 in Nassau made $300,000 or more. Sixty-one employees in Nassau broke the $400,000 threshold — nearly all of them retirees who received hefty payouts for unused sick and vacation time. In Suffolk, 35 employees made more than $400,000 last year, the records show. Suffolk Police Benevolent Association president Noel DiGerolamo said officer salaries are “commensurate with the work they do” and the police department is a “bargain” considering crime is at historic lows. Violent crime in Suffolk dropped by 28 percent between 2014 and 2018, police officials said. “I ask everyone the same question: 'Are you willing to put on that uniform and sacrifice your life and potentially that of your family living without you for a certain dollar amount? '” DiGerolamo said. The W-2 records show that in each county, the payroll — salaries, fringe benefits and pension payments — is about $1 billion and constitutes the largest expense, representing about one-third of the operating budgets. Nassau had a projected structural budget deficit — the gap between recurring revenues and expenditures — of about $92 million in 2018, according to a county comptroller report in October. Suffolk had a projected $150 million structural deficit for 2018, according to a 2017 report by the County Legislature’s nonpartisan Budget Review Office. In Suffolk, the top three earners were police officials who left the department with payouts of over $375,000 in addition to their salaries. 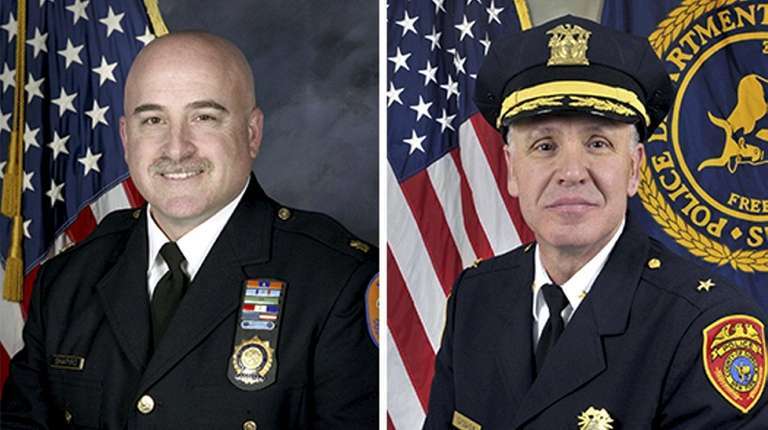 They were former chief of division Robert Cassagne, $680,402; former assistant chief Thomas Palmieri, $652,172; and former Lt. Kevin Burke , $632,599. Cassagne did not respond to requests for comment, Palmieri could not be reached and Burke declined to comment. The surge in the number of highly paid police employees in Suffolk came during the last year of an eight-year police union contract, which expired on Dec. 31. The agreement saved the county $43 million up front and was expected to cost a total of $268.7 million, officials said. The contract was designed to produce savings by creating a lower pay scale for new hires and stopping retroactive pay raises. DiGerolamo said the expired police contract provided “significant savings to the taxpayer and the department as a whole.” He said it allowed the department to hire more officers and stretched the number of years they had to work before reaching a higher pay scale. Suffolk County Executive Steve Bellone, who declined to comment for this story, is negotiating a new contract and health care costs with the PBA and other employee unions, spokesman Jason Elan said. Bellone has taken a salary of $187,000 every year since 2012, when he was first elected. He is entitled to $232,124 this year under a county law that automatically provides for cost of living raises. Connie Corso, Suffolk’s assistant deputy county executive and the assistant budget director, said the number of retirements often increases at the end of a police contract. The departures will help produce future savings because new, lower-paid officers will replace the veterans, Corso said. “It’s something that we expected and allows us to bring in [police academy] classes at the lower salary scale,” Corso said. Reclaim NY, a nonprofit watchdog group, said New York's Triborough Amendment was responsible in part for high municipal salaries. The 30-year-old law requires public employers to abide by all contractual guarantees, including those for automatic “step” increases in pay, after expiration of collective bargaining agreements. That gives unions an incentive to resist major changes to their contracts, because the terms are preserved until a new agreement is reached, said Reclaim NY spokeswoman Lexi Faunce. Nassau County Executive Laura Curran is negotiating new contracts with Nassau’s five major public employee unions. Employees have been working under the terms of their old contract, which expired Dec. 31, 2017, the day before Curran took office. Curran was paid a total of $191,010 last year. The top earners on the Nassau payroll in 2018 were retirees who received payouts from the police department. They were Gary S. Shapiro, a captain and 31-year veteran who received $644,968; Sean M. McCarthy, who retired after 33 years with the rank of captain, $615,409.46; and Steven T. Haggerty, a lieutenant with 32 years of service who was paid $598,193. Shapiro declined to comment, and McCarthy and Haggerty did not return calls seeking comment. James McDermott, Nassau PBA president, declined to speak about specifics of police payouts. But he made no apologies for the terms of county police contracts. “The quality of life the citizens of Nassau County have is partially due to the outstanding service and dedication our police officers provide on an everyday basis,” McDermott said. Overtime also contributes to high compensation, the W-2's show, and both the Bellone and Curran administrations are struggling to hold down OT. Suffolk paid $111 million in overtime in 2018, 7.5 percent more than in 2017. About $55 million was paid to employees in the police department and $43 million went to those in the sheriff’s office, the W-2's show. Suffolk officials attributed the overtime increase to a contract with deputy sheriffs that granted retroactive overtime pay. Sheriff’s office overtime increased by approximately $3.7 million in 2018 with retroactive overtime payments and contractual raises for correction officers and deputy sheriffs, spokesman Chief Michael Sharkey said. "That really drove most of the increase you're seeing there," county budget director Eric Naughton said. By comparison, Nassau's overtime spending increased by only 0.5 percent in 2018. 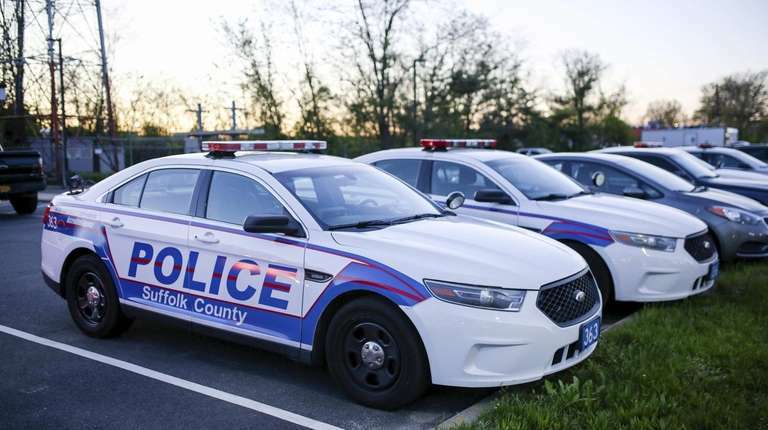 The county paid a total of $92 million in overtime in 2018, including $54 million to police employees and $24 million to employees at the county jail in East Meadow. Nassau County Detectives Association president John Wighaus cited two primary drivers of county police overtime. “There is an ongoing crisis in Nassau County as we have been 45 detectives short of the budgeted number for the last several years which causes a larger caseload for every detective. Secondly, it’s due to the investigations of the cases and court testimony as we arrest the most violent offenders in Nassau County,” Wighaus said. Jerry Laricchiuta, president of Nassau’s Civil Service Employee Association, the largest county employee union, said Nassau the county was “seriously below acceptable staffing levels in almost every department," creating unsustainable workloads for employees. "This administration isn't handling its workforce well at all," said Laricchiuta, CSEA leader since 2005. He said his members were among the lowest paid in the county, with an average base salary of about $65,000. In Suffolk, the average member of the county’s largest employee union, the Association of Municipal Employees, takes home less than $50,000 a year, a union spokesman said. The median household income for Nassau County is $105,744; in Suffolk, it is $92,838, according to U.S. Census data. The median total compensation for county workers in Nassau is $45,675, and $64,769 in Suffolk, the 2018 W-2 records show. Suffolk payroll: Over $1B paid to nearly 13,000Suffolk County paid 12,777 workers a total of $1,068,566,930 in 2018, an increase of 2.5 percent over 2017. Nassau County 2018 payrollNassau County paid 15,867 employees or former employees a total of $1,018,356,526.52 in 2018, a decrease of 2.4 percent from the year before, according to records received from the county in response to a Freedom of Information Law request.